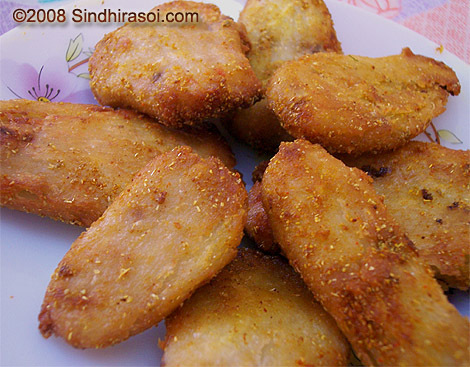 Kachalu or arbi (Colocasia root) is very popular amongst Sindhis.It is basically root of Patra leaves (the same leaves which are used to make Aluwadis)It is relished in variety of ways, like boiled kachalu, fried kachalu, stuffed kachalu and also kachalu chaat.Watch out this space for all these recipes, that I am gonna share here, soon ! 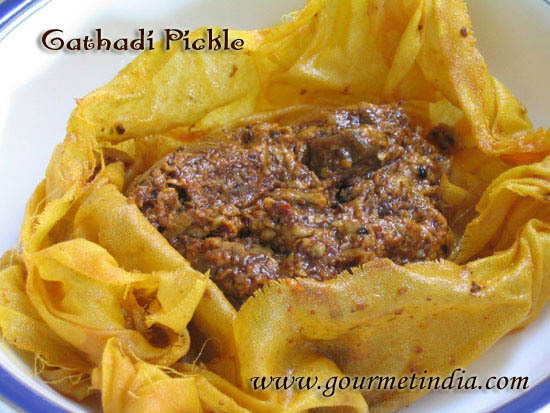 As for now, here is a simple way to make these arbis.Its not a healthy choice if one wish to cut off oil consumption, but for those who dig for some fried, crispy stuff to spice up plain dal roti, or enjoy fried rice with something equally great, then here we go….. 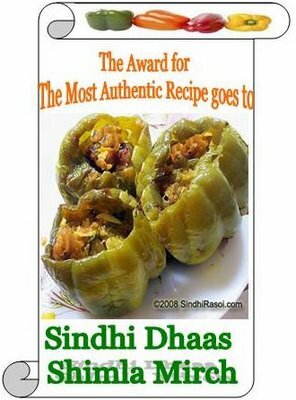 In month of May I had participated in Pooja’s VOW JFI BELL PEPPERS event and that was my first ever entry for any food event.Not in my wildest dreams had I imagined that the Dhaas shimla mirch recipe would be appreciated so much and would actually win me an award . Thanks pooja for holding such an event and thanks to all those visitors who voted for me…I can never thank you all enough ! I was searching for aloo kacualo recipe and found this interesting recipe. 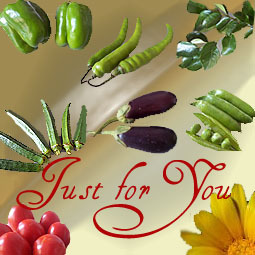 It looks good will try tomorrow as arbi is not at my home today. alka, i knew ur dhaas shimla recipe would win the price hands down 🙂 i love it so much that i am making it today. infact while i am typing this comment hubby dear is crying as he is grating the onions for me 😉 today i am gonna bake them instead of stove top method:) enjoy ur award as u truely deserve it. Yummmy, ok i will have some chicken for you and you can have the kachalu took, I just love these and would eat it up all plain and love it with the yellow dal chawara . We do not get good kachalo’s here and they do not crisp up and this is the only way we like it, no bajji please..hehehe My husband shares the same emotions so we land up eating the soft tooks once in a way.